(RxWiki News) Summer is the season of grilling. It's also the season when grill fires peak. When shopping for food, choose untorn meat packages. The meat should feel cold, and raw meat should be separated from other items. As a general rule of thumb, perishable food should not be left out at room temperature for more than two hours. If the temperature is at or above 90 degrees Fahrenheit, pay special attention so the food is not out for more than an hour. When refrigerated, raw poultry and ground meats are good for a day or two. Beef, pork and lamb, on the other hand, are good for five days. Frozen meats can be safe for much longer. 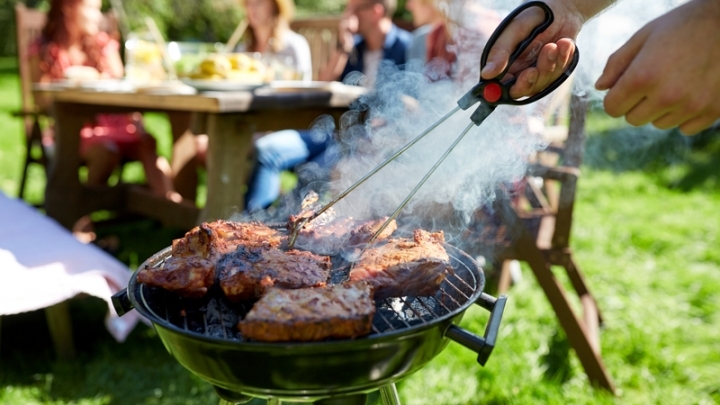 Regardless of the type of grill you are using, it is important to use it outside and away from anything that can burn, including your home and trees. Remember that one-third of the burns from grills happen to children. Keep kids at least three feet away from the grill. General safety rules for fire apply to charcoal grills. These rules include not adding starter fluids to fire, keeping flammable liquids away from children and letting the charcoals cool before disposing of them. For propane grills, it is important to check for any leaks by applying soapy water to the hose before use. A leak will cause the spot around the leak to bubble. 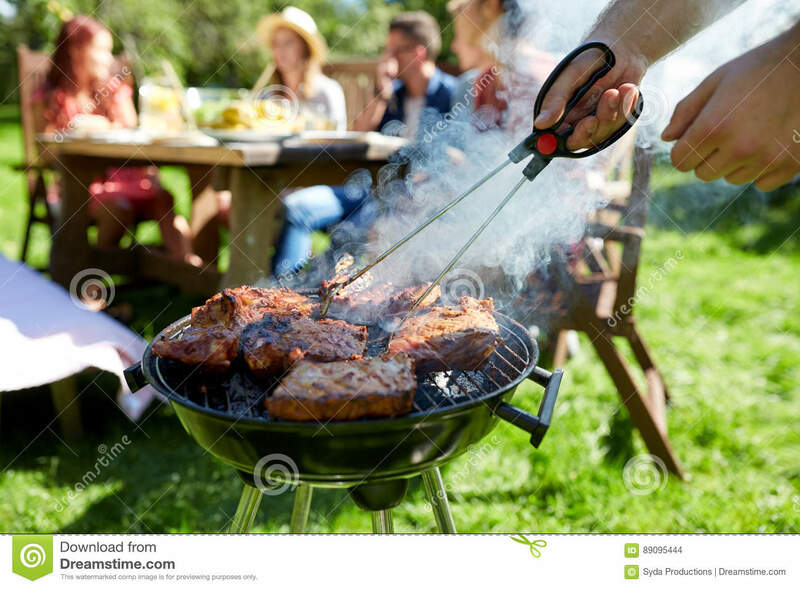 The grill lid should always be open before the grill is lit, but the grill should never be turned on if you're smelling gas. If you smell gas while cooking, get away immediately and call 911. The first thing to remember when cooking or eating is to always wash your hands for a minimum of 20 seconds. If this is not possible, try your best to keep your hands clean. When cooking, always be wary of raw meat. Do not let raw meat touch cooked food, and do not reuse marinade that touched raw meat. Remember that the color of meat does not indicate food safety. A food thermometer is a handy way to check the meat temperature. Ground meats should be cooked to 160°F, and pre-cooked meats and poultry should be cooked to 165°F. Other meats are safe when cooked to 145°F. If you decide to smoke the food, keep the interior smoker temperature at 225°F to 300°F. Meat should never be left partially grilled to be cooked later. Once cooked, hot food should be kept hot at 140°F or higher. If you have leftovers, promptly refrigerate them for use in the next three to four days. The food can be kept in the freezer for four months.